Our repurposed school buses have open "U"shaped "bay-style" seating so your guests can face each other. The buses are all equipped with top-of-the-line Alpine sound systems and ambient lighting via our trademark "holiday-lights." We customize every trip with the name of your event spelled on the side(s) of the bus(es)! We also provide a large cooler stocked water and ice. 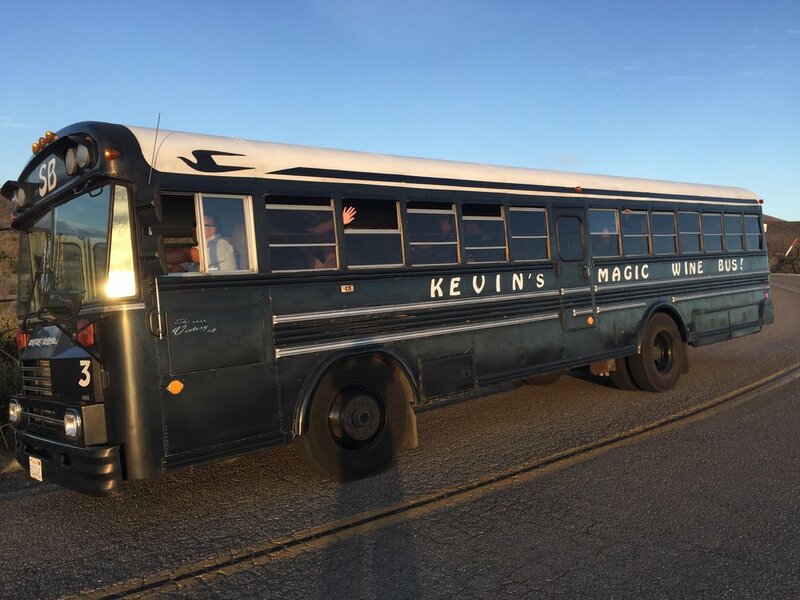 Guests are welcome to bring additional beverages and food on the bus to make your trip with us all the more enjoyable. The fleet includes sixteen (16) 35-45 passenger buses, two (2) 15-25 passenger buses and four (4) 6-14 passenger buses .